Various objects in Toad Data Modeler can be customized. New tabs can be added to existing forms, new fields can appear on the tabs and you, users, can specify custom values that will be saved with other default model or object properties. 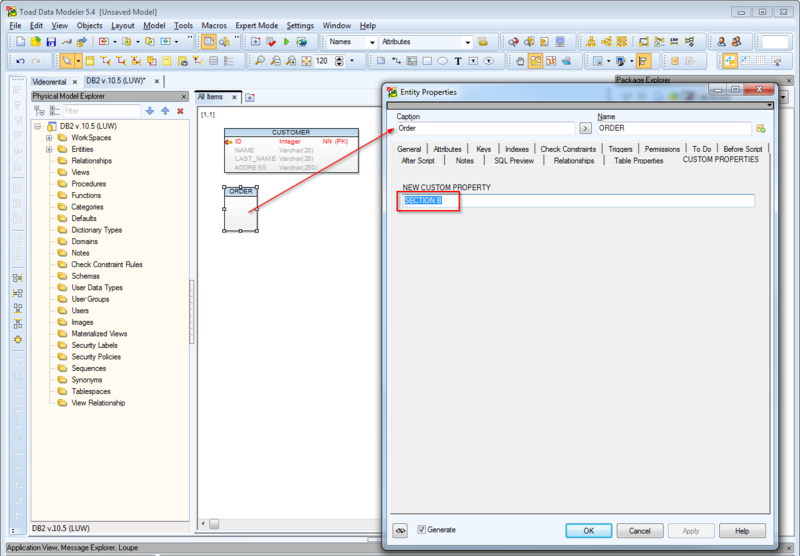 In this article I am going to show you how to enable loading of custom properties through the in-built import from Microsoft Excel files functionality. My friend Petr Sklar created a sample package that can be downloaded here. 2. Create new entity and edit it. On tab CUSTOM PROPERTIES you can specify value for NEW CUSTOM PROPERTY for the entity. 3. 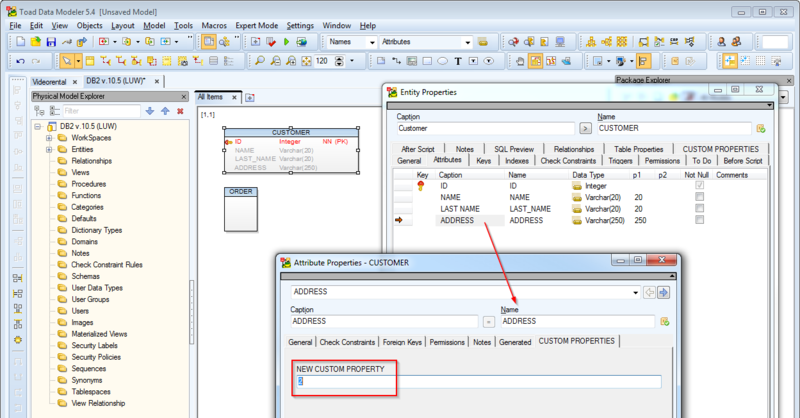 If you edit any entity attribute, in this example attribute NAME, on tab CUSTOM PROPERTIES you can define another custom property. 4. Try to export the model to Excel. 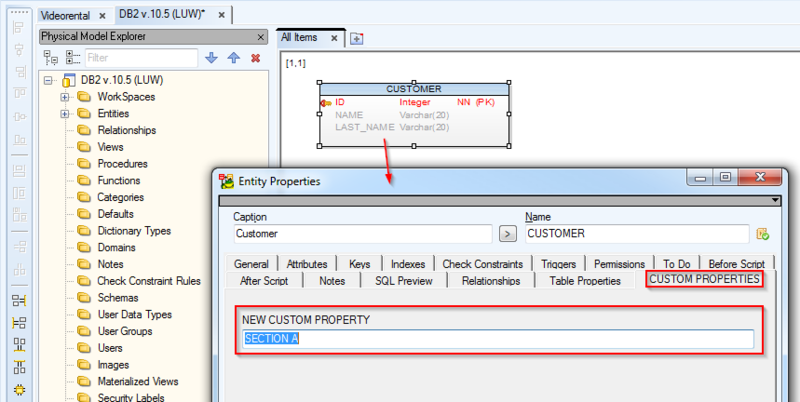 You will see there columns CustomProperty1 on sheet Entities and CustomProperty2 on sheet Attributes. 7. 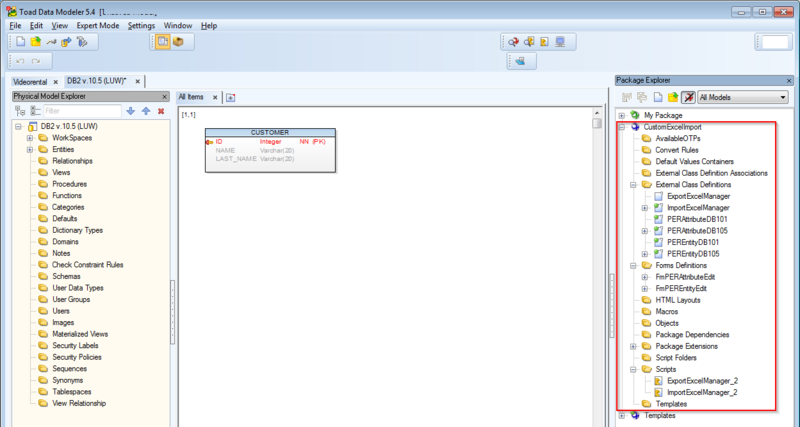 Save the excel file and try to import it back to the model. On the same line there is another reference to the custom property.